Thunderbird is a free, open source e-mail and news client developed by the Mozilla Foundation, developers of the popular web browser Firefox. Open Thunderbird, and select Tools | Account Settings. Select the E-mail account radio button and click Next. The Identity screen appears. Enter your full name in the Your Name field. Enter your OWU e-mail address (username@owu.edu) in the E-mail Address field, and click Next. Enter your full e-mail address (username@owu.edu) in the Incoming User Name and Outgoing User Name fields, and click Next. Enter a name, such as “BishopMail” for your e-mail account in the Account Name field, and click Next. Select Server Settings from the folder list below your new account. Update the Port value to 993. In the Security Settings section, select SSL from the Use secure connection options. Select the ‘Check for messages at startup’ checkbox and the ‘Check for new messages every 10 minutes’ checkbox. Click Outgoing Server (SMTP) in the folder list. Select the smtp.gmail.com (Default) entry from the list and click Edit. The SMTP Server page appears. Enter smtp.gmail.com as the Server Name and set the Port to 587. 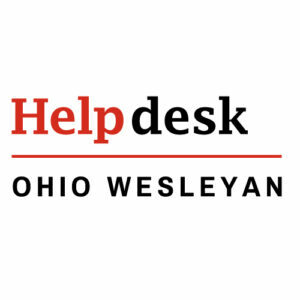 Select User name and password and enter your full e-mail address (username@owu.edu) in the User Name field. Click OK to save your changes and exit the Account Settings dialog. Thunderbird puts my reply at the bottom of the original message. How do I get it to default to the top? Click Tools, and then Account Settings (This is an option you can set differently for each email account. If you are starting up Thunderbird for the very first time, the Import Wizard will pop up, and you can then select the “Eudora” option to import your mail, address books, and settings. Subsequent to launching Thunderbird for the first time, you can also go the the “Tools” menu, select “Import…”, and then individually import your mail, address books, or settings from Eudora. For more info, see this Importing from Eudora article.